Perturbed by the continued absence of the First Lady, Dame Patience Jonathan, from the country as a result of ill-heath, the Presidency has resorted to prayers to quicken her recovery and return to the country. Dame Jonathan, a serving Permanent Secretary in Bayelsa, her home state, was reportedly flown to a German specialist hospital two weeks ago for an undisclosed medical treatment. 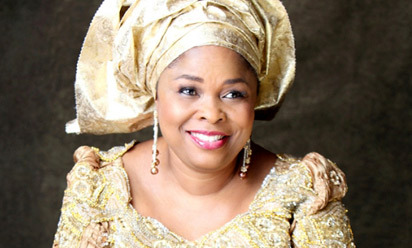 The “food poisoning” condition that landed Mrs. Patience Jonathan in a hospital in Germany reportedly started in Dubai eleven days ago where she had gone to see a doctor because her hands were twitching. Presidency sources said she had gone to Dubai after the recent African First Ladies Summit in Abuja, an event that imposed an unfamiliar and grueling schedule of meetings and late nights on Mrs. Jonathan, saying she needed some rest.